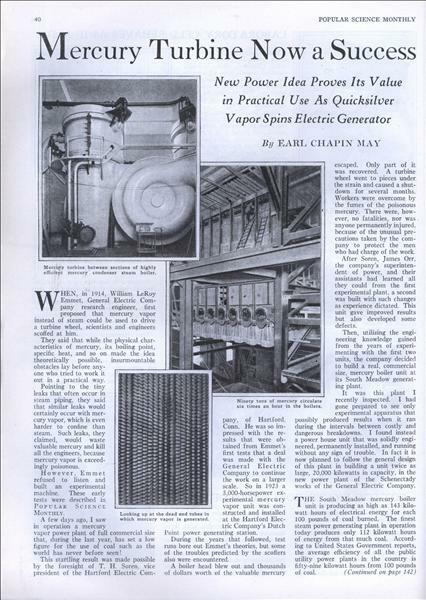 New Power Idea Proves Its Value in Practical Use As Quicksilver Vapor Spins Electric Generator By EARL CHAPIN MAY WHEN, in 1914, William LeRoy Emmet, General Electric Company research engineer, first proposed that mercury vapor instead of steam could be used to drive a turbine wheel, scientists and engineers scoffed at him. 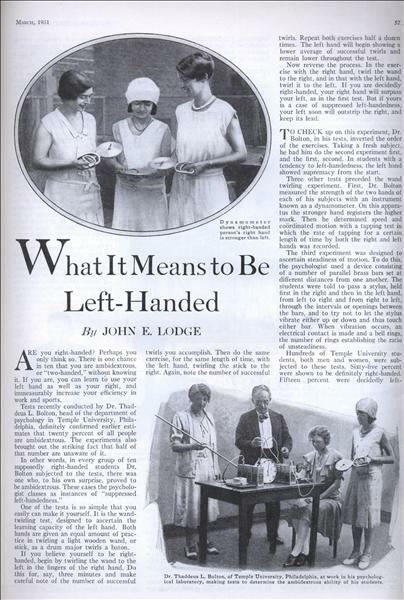 By JOHN E. LODGE ARE you right-handed? Perhaps you only think so. 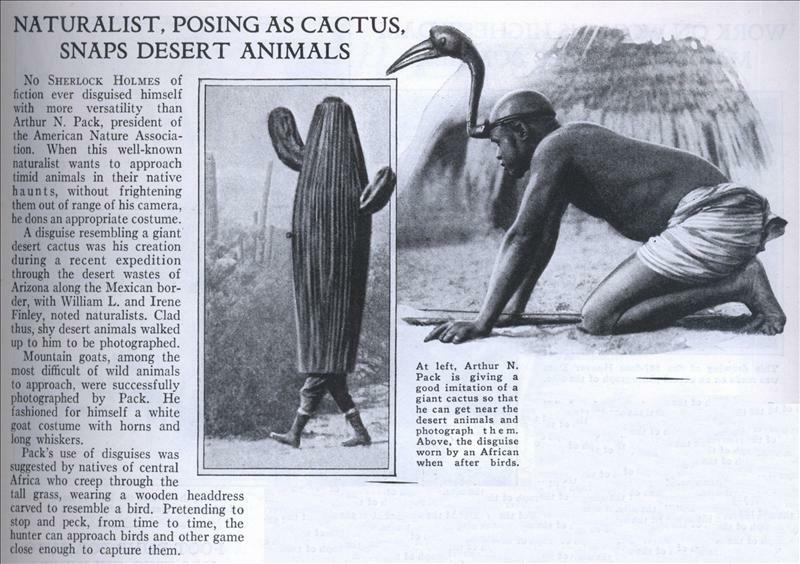 There is one chance in ten that you are ambidextrous, or "two-handed," without knowing it. If you are, you can learn to use your left hand as well as your right, and immeasurably increase your efficiency in work and sports. 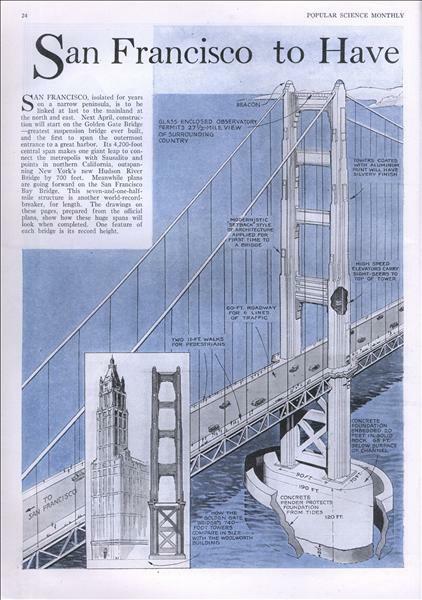 SAN FRANCISCO, isolated for years on a narrow peninsula, is to be linked at last to the mainland at the north and east. 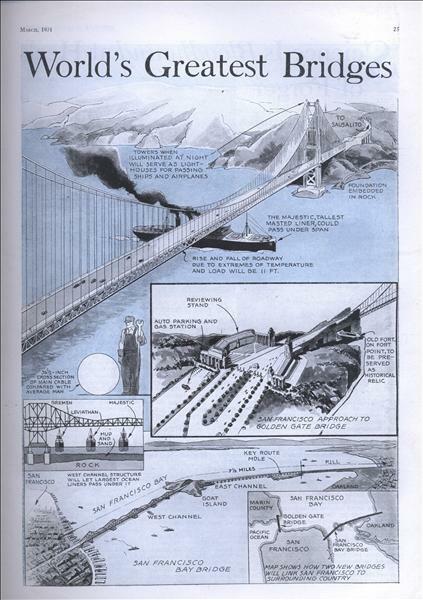 Next April, construction will start on the Golden Gate Bridge —greatest suspension bridge ever built, and the first to span the outermost entrance to a great harbor. 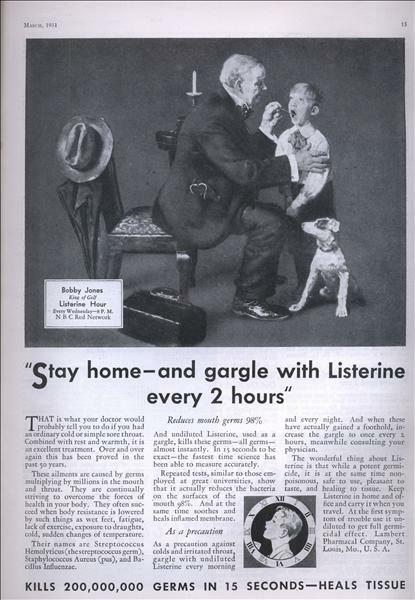 "Stay home-and gargle with Listerine every 2 hours"
Reduces mouth germs 98% THAT is what your doctor would probably tell you to do if you had an ordinary cold or simple sore throat. Combined with rest and warmth, it is an excellent treatment. Over and over again this has been proved in the past 50 years. These ailments are caused by germs multiplying by millions in the mouth and throat. They are continually striving to overcome the forces of health in your body. 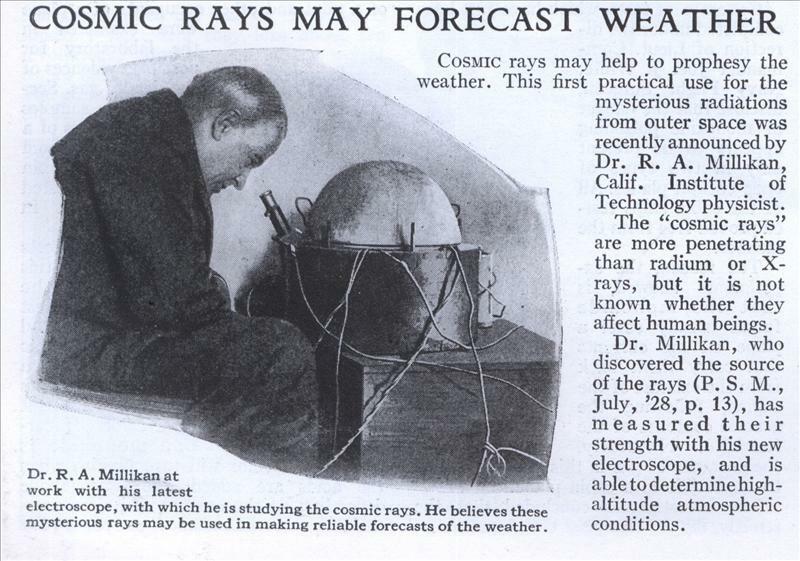 They often succeed when body resistance is lowered by such things as wet feet, fatigue, lack of exercise, exposure to draughts, cold, sudden changes of temperature. The operator of a new German industrial truck stands on a small platform mounted on a horizontal axle. Tilting it to one side or the other by pressure of his right or left foot steers the vehicle to right or left as desired, leaving both hands free to control power and brakes. Steering by the operator's platform in this fashion makes a compact machine, with the greatest amount of loading capacity on the shortest wheelbase and turning circle. 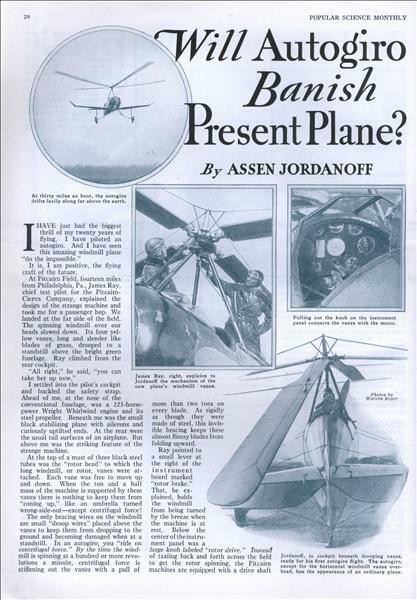 Will Autogiro Banish Present Plane? By ASSEN JORDANOFF I HAVE just had the biggest thrill of my twenty years of flying. I have piloted an autogiro. 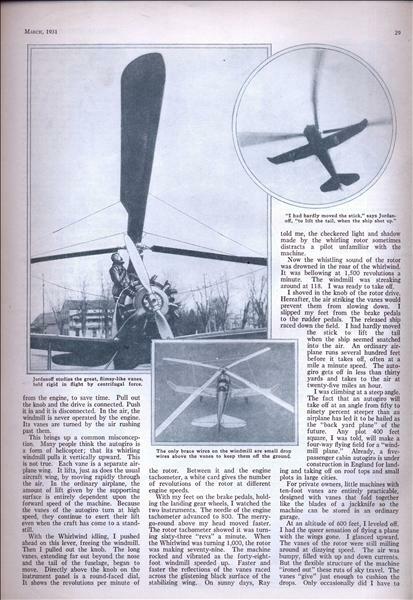 And I have seen this amazing windmill plane "do the impossible." It is, I am positive, the flying craft of the future. 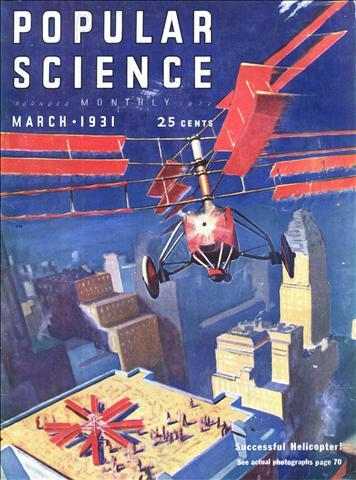 At Pitcairn Field, fourteen miles from Philadelphia, Pa., James Ray, chief test pilot for the Pitcairn-Cierva Company, explained the design of the strange machine and took me for a passenger hop. We landed at the far side of the field. The spinning windmill over our heads slowed down. 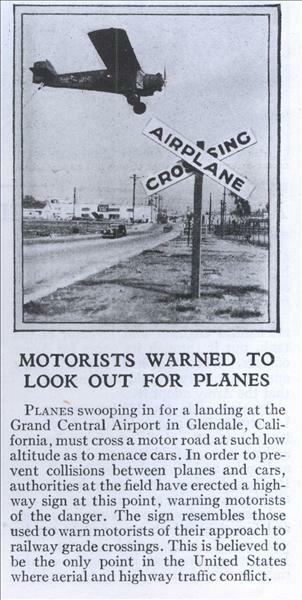 Its four yellow vanes, long and slender like blades of grass, drooped to a standstill above the bright green fuselage. Ray climbed from the rear cockpit. When a New Yorker calls one of the city's principal telegraph companies on the phone to send a wire, he now sets in motion a super-robot so swift that a stopwatch often cannot time it. 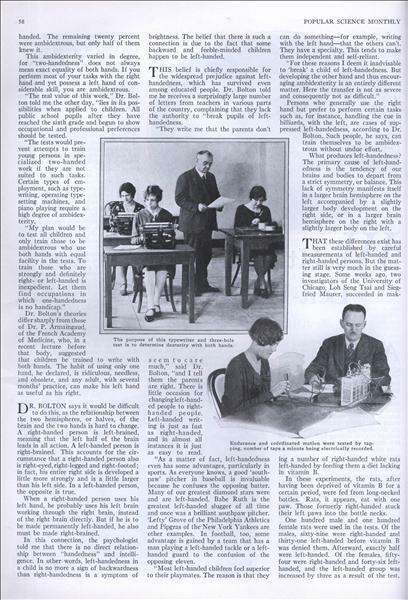 Within the short space of one second, on the average, he hears the answering voice of one of 110 girls, who sit at desks as shown in photo above. This is made possible by the "automatic call distributor, " called one of the most important inventions in recent years. 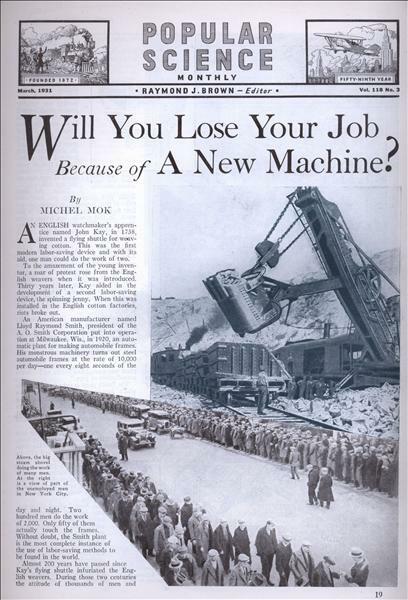 Will You Lose Your Job Because of A New Machine? By MICHEL MOK AN ENGLISH watchmaker's apprentice named John Kay, in 1738, invented a flying shuttle for weaving cotton. 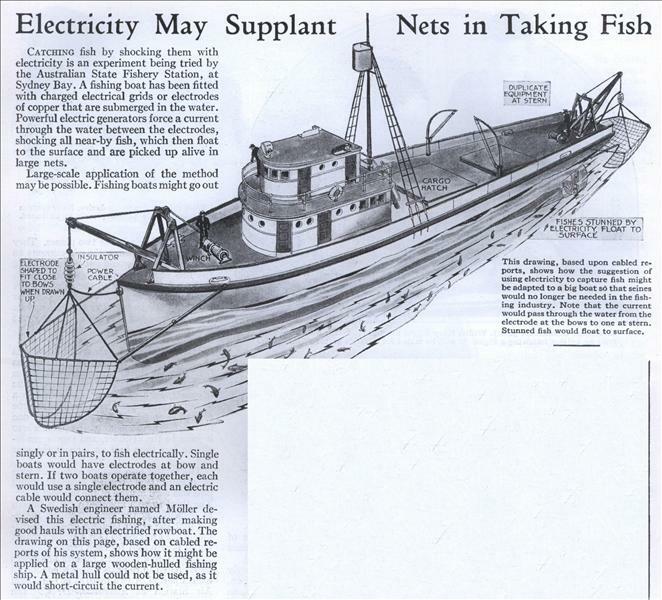 This was the first modern labor-saving device and with its aid, one man could do the work of two. To the amazement of the young inventor, a roar of protest rose from the English weavers when it was introduced. Thirty years later, Kay aided in the development of a second labor-saving device, the spinning jenny. 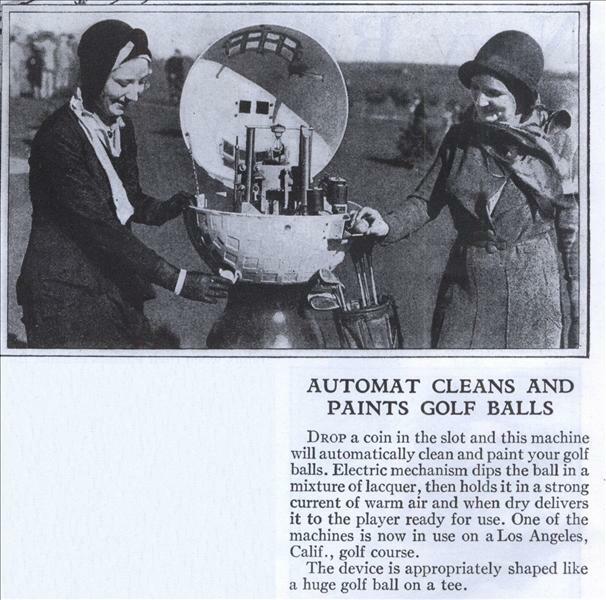 When this was installed in the English cotton factories, riots broke out. An American manufacturer named Lloyd Raymond Smith, president of the A. 0. 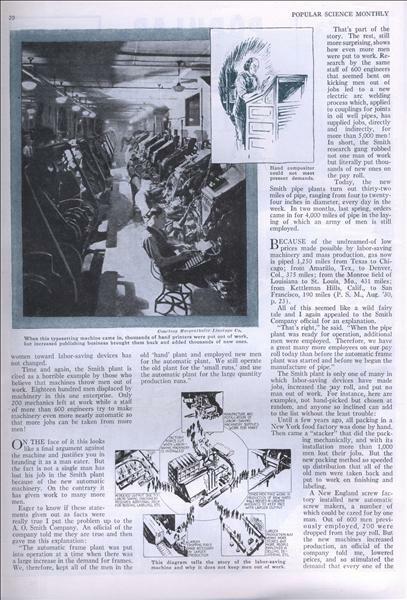 Smith Corporation put into operation at Milwaukee, Wis., in 1920, an automatic plant for making automobile frames. 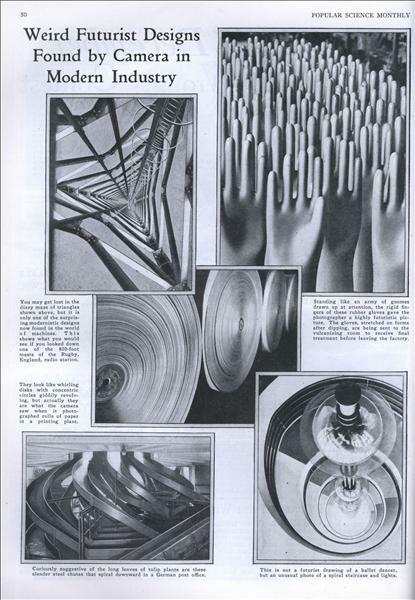 His monstrous machinery turns out steel automobile frames at the rate of 10,000 per dayâ€”one every eight seconds of the day and night. ' Two hundred men do the work of 2,000. Only fifty of them actually touch the frames. 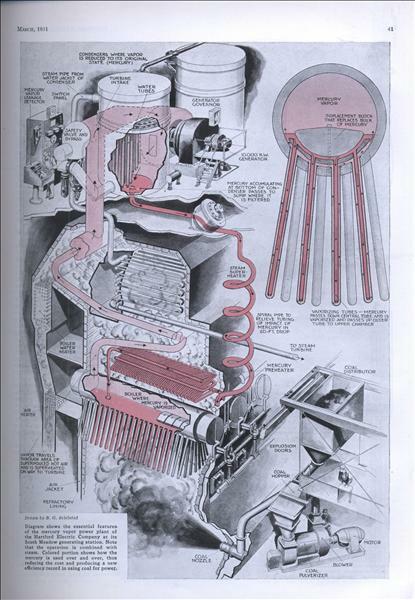 Without doubt, the Smith plant is the most complete instance of the use of labor-saving methods to be found in the world.